Bob Arum and Eddie Hearn have traded insults the past few weeks, but that hasn’t prevented them from doing business together. The Top Rank and Matchroom Boxing leaders co-promoted Friday’s Vasiliy Lomachenko-Anthony Crolla lightweight match and also come together for the Terence Crawford-Amir Khan welterweight pay-per-view bout on April 20. The two sides are also discussing a super middleweight unification bout between Gilberto Ramirez and Callum Smith. 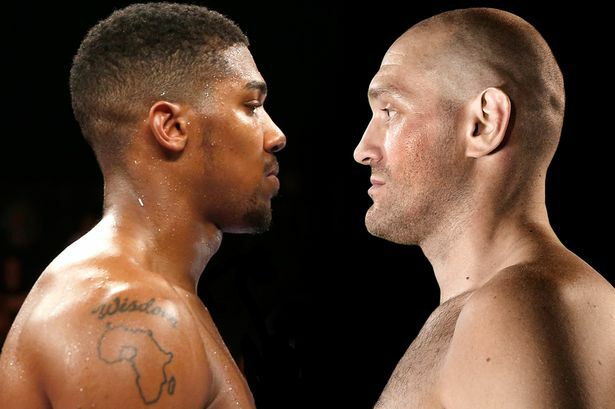 With Arum and Hearn able to coexist, could that mean the boxing world is close to getting a heavyweight showdown between Tyson Fury and Anthony Joshua? Hearn didn’t sound optimistic about the all-U.K. battle. Hearn said the top priority is making a Joshua-Deontay Wilder bout for all the heavyweight belts. Wilder is at the top of the wish list, but Hearn said he’s not on good business terms with Wilder’s representatives like he is with Arum. Fury is co-promoted by Arum and Frank Warren. “The main thing with me and Bob, we do have the ability to pick up the phone and make a deal at anytime, and that’s something we don’t have the ability with some people,” Hearn said. Fury, who had a split draw against Wilder in December, will make his ring return on June 15 against Tom Schwarz at the MGM Grand Garden Arena in Las Vegas. Joshua’s next bout is scheduled for June 1 against Jarrell Miller at Madison Square Garden in New York. It’s not likely, however, that Joshua will fight Fury or Wilder next, but Hearn said Oleksandr Usyk is a strong possibility. But for that to happen, Usyk needs to win his heavyweight debut against Carlos Takam on May 25. Although the Usyk fight is the easiest to make for Joshua, Hearn didn’t rule out matches against Fury and Wilder in the future, despite all three belonging to different networks.